With large open living spaces and an impressive facade, this country home is sure accent any streetscape. A welcoming front porch greets visitors into the charming foyer that instantly pours into the great room. Defined by columns, the dining room easily services the kitchen so entertaining is simplified. When weather permits, outdoor entertaining spaces are plentiful. 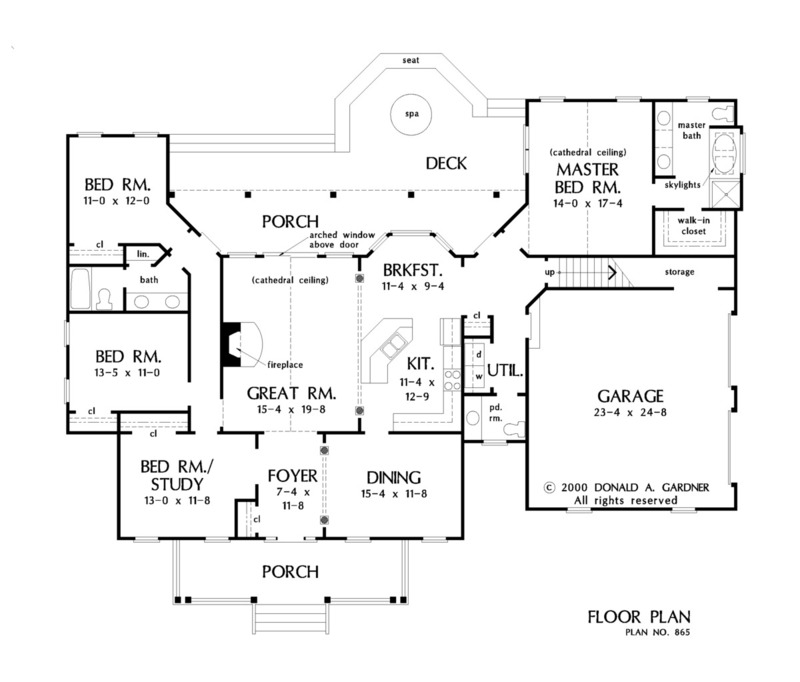 A large porch is located immediately off the great room, and a large deck completes the backyard. At the end of the day, relaxation is easy in the master suite. With a cathedral ceiling and outdoor views, this bedroom provides comfort. Twin vanities, a separate tub and shower combination and a walk-in closet complete the suite. 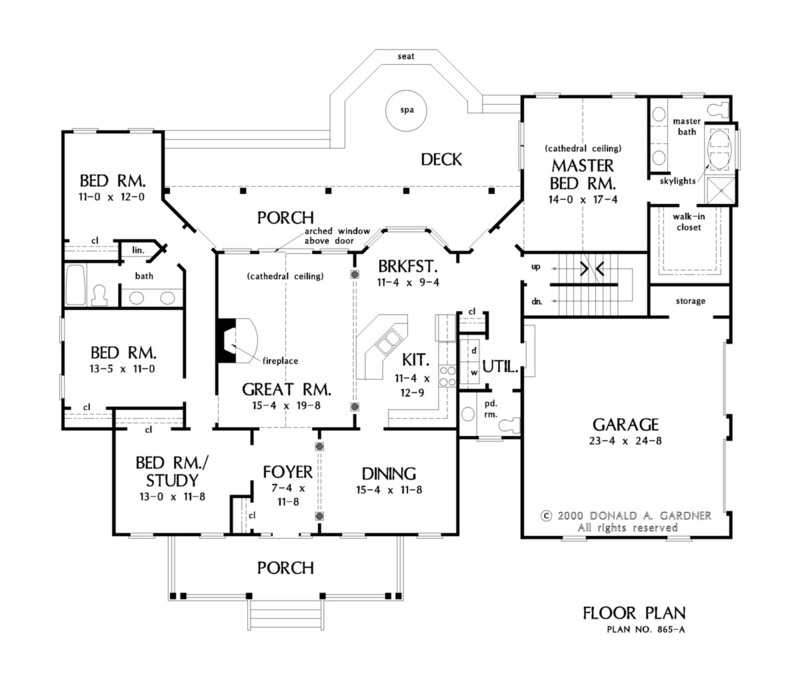 Secondary bedrooms are located on the opposite side of the home for privacy and share a bath. 1st Floor: 2207 Sq. Ft. 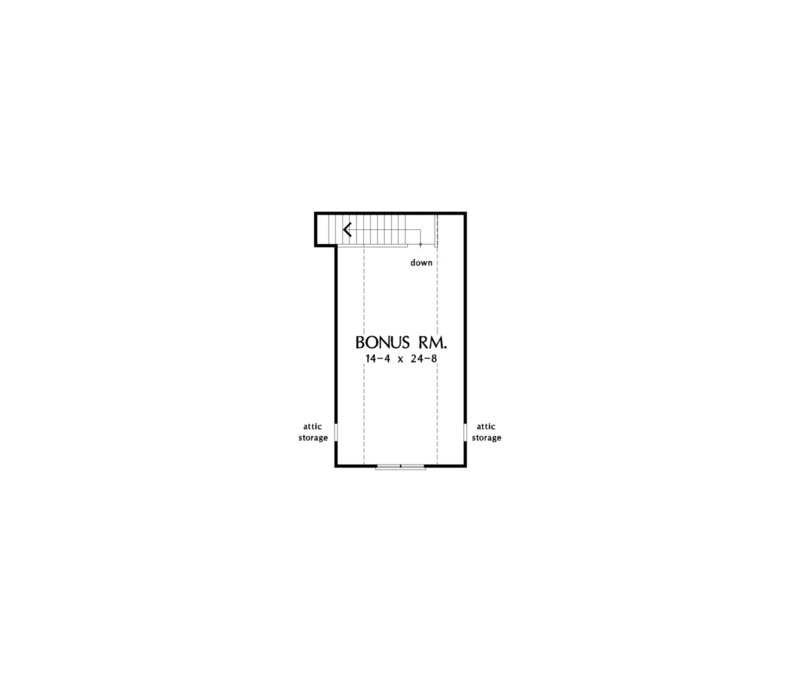 Bonus Room: 441 Sq. Ft.
House Dimensions: 76' 9" x 57' 4"
Dining Room : 15' 4" x 11' 8" x 9' 0"
Great Room (Cathedral): 15' 4" x 19' 8" x 19' 5"
Bonus Room (Vaulted): 14' 4" x 24' 8" x 9' 0"
Garage : 23' 4" x 24' 8" x 0' 0"
Master Bedroom (Cathedral): 14' 0" x 17' 4" x 16' 4"
Bedroom / Study : 13' 0" x 11' 8" x 9' 0"
Bedroom #3 : 13' 5" x 11' 0" x 9' 0"
Porch - Front : 26' 8" x 7' 4" x 0' 0"
Porch - Rear : 40' 5" x 7' 4" x 0' 0"
Deck / Patio : 40' 5" x 15' 6" x 0' 0"